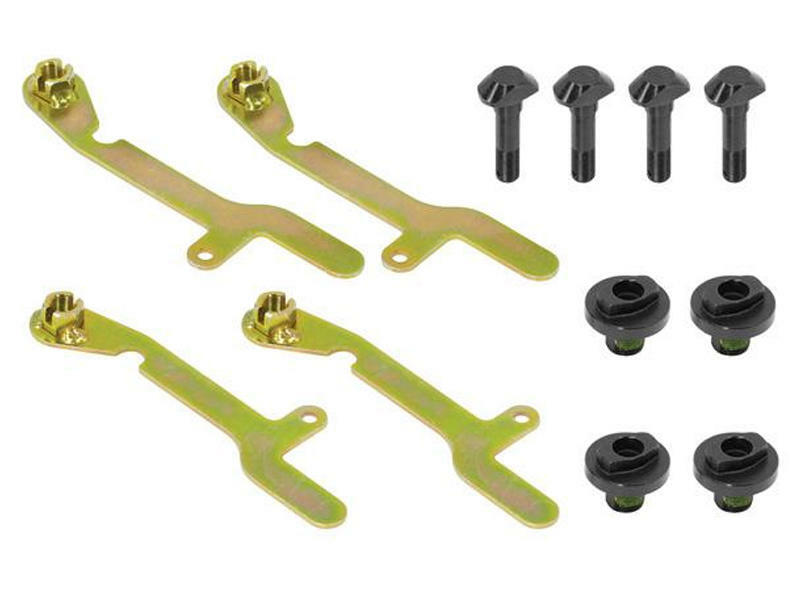 This Fifth Wheel Adapter Kit allows Signature Series fifth wheel and gooseneck hitches to be used in 2011-current Ford F-250 and F-350 Super Duty models equipped with a factory installed underbed fifth wheel rail system. The Signature Series hitches had shorter attaching hardware which would allow the hitch to come into contact with the pickup bed when installed in the above vehicles. This kit includes the necessary spacers to provide adequate clearance.